Some sunsets illuminate clouds with a variety of hues: yellow, orange, pink, magenta. 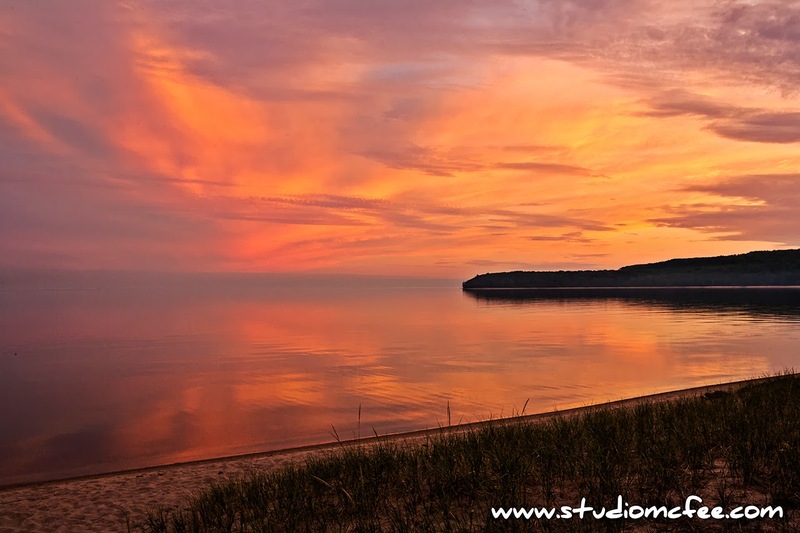 When these clouds are reflected in the tranquil waters of Pancake Bay, the result can be quite dramatic. Another photo was even more striking but did not include the shore or the headland. The result was abstract to the point that the subject of the photo became unidentifiable. Pancake Bay Provincial Park, on Lake Superior, is near the village of Batchawana Bay, about an hour's drive north of Sault Ste. Marie, Ontario. It is a splendid place to camp and hike. And if camping is getting to you, there is the lovely Voyageur's Lodge and Cookhouse.